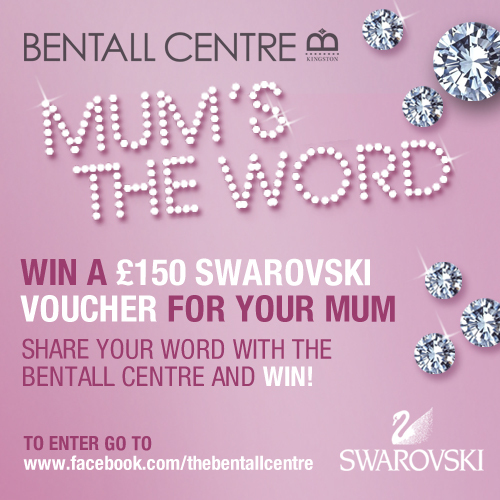 This Mother`s Day The Bentall Centre`s `Mum`s The Wordâ€ competition is offering the chance for proud children everywhere to WIN £150 of Swarovski vouchers for their mum, just by telling us how special she is, in one word! Mother`s day comes around once a year and is special opportunity for children and family to show appreciation for their amazing Mum`s. 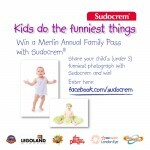 We would love you to share with us one word that best describes your mum, by doing so, enter the prize draw for an amazing prize. 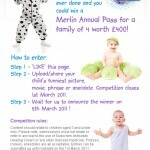 All entries will then be placed into the prize draw to win a sparkly treat for your special mum – £150 Swarovski voucher. â€¢	The Bentall Centre has come a long way since it opened over 18 years ago. Today the Centre boasts over 80 retail outlets and attracts over fourteen million visitors a year. It just keeps getting better; with new stores opening, and more services and facilities including a personal stylist, a crÃ¨che and a Virgin Active health club. â€¢	For further information about The Bentall Centre please visit www.thebentallcentre-shopping.com.